NU Honours : Which course should I choose ? National University of Bangladesh is one of largest universities in the world. 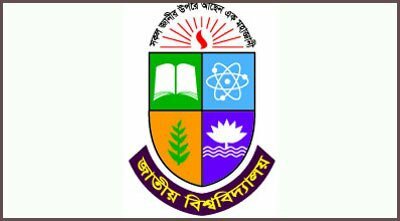 In every district of Bangladesh, NU has colleges affiliated to it. Every year more and more students get themselves admitted into colleges running under the control of National University. One third of Bangladeshi students complete their higher education in colleges affiliated to National University. So NU is, without any doubt, playing an important role to build an educated nation here in Bangladesh. But many students don’t know or get confused about the courses and degrees that NU provides. Some of them don’t know which one they should study or apply for. Keeping this in mind, we will provide you with information of Courses and Degrees that are offered by the colleges of NU. National University provides Bachelor’s, Honours, and master’s degrees in variety of courses. Today we will discuss about Honours program and Courses. NU offers degrees in these four sections. The courses of the each section are stated below. Bachelor of Arts has 7 courses. Students can choose any of these courses as they desire. Bachelor of Social science has 6 courses. Among those 6 courses, Economics and Political science are most popular to the students. All the courses of Bachelor of Business Administration are popular and have demand in Bangladesh. Accounting and Management are the most popular among all four curses of BBA. Bachelor of Science has variety of courses. Most of them are highly demanded and popular among the students of National University. Now that you know all the courses offered by colleges affiliated to National University, you can choose your desire course to study honours. Honours is a 4 years course and your future study as well as job opportunities are depend on how you do in Honours. So you have to choose a course that you really want study or a course which matches your goal in life. You can always ask your guardian or senior persons to help you get more ideas about any course and their demand. Feel free to ask any question about this or any other educational issues here in our comment section or in our Facebook page . We will try our best to give you the right direction.